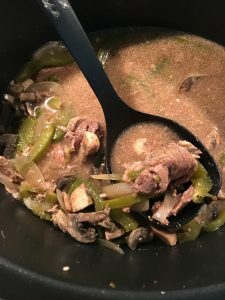 After looking through several recipes online, I created this version of Slow Cooker Pepper Steak. Three out of four of us loved it, and I thought the leftovers were even better than on the day that we made it. 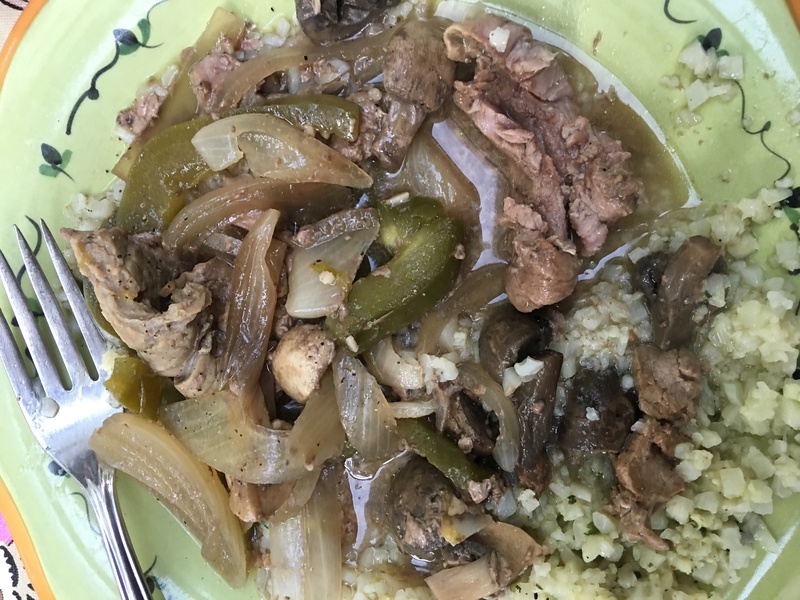 It was super simple and we served it over frozen cauliflower rice that I just cooked in the microwave. Simple cooking at its best! London Broil (Mine was around 1.5 lbs and it fed 4 of us with a little left over)*It’s much easier to slice it if it’s partially frozen when you cut it. -Chop veggies and place on bottom of slow cooker. -Slice the partially frozen london broil (or meat cut of your choice) against the grain. Basically, look for the direction the grain seems to run in the meat and then turn it 90 degrees and cut it that way. This will make the meat more tender. 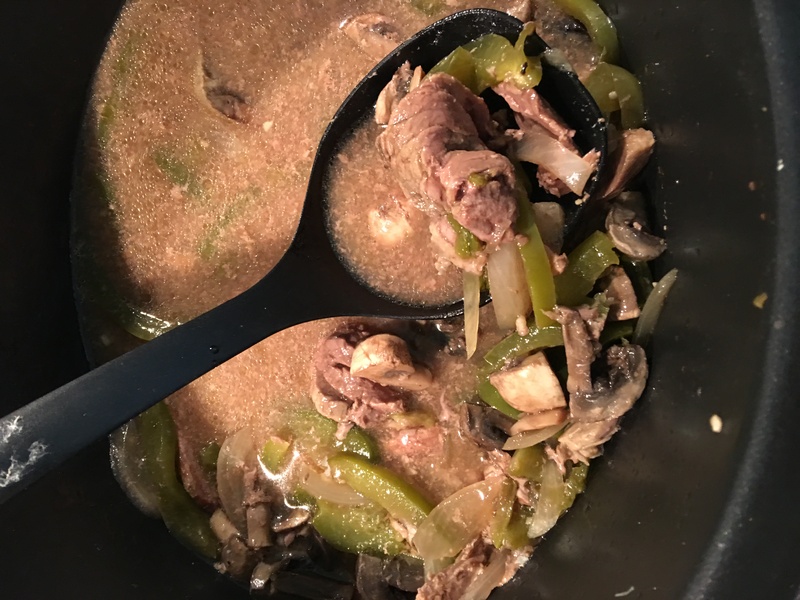 -Put the sliced beef over top of the veggies and then add all other ingredients except for the flour (cornstarch or arrowroot powder). Stir it all around if you’d like. 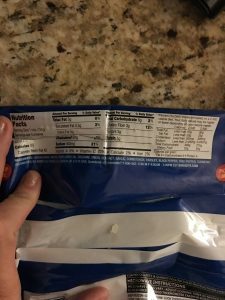 -Cook on low for 7 hours, then turn UP the heat to High. -Whisk together 1/4 c cold water and the flour. Add to the slow cooker and stir to combine. -Cover and cook it a little more until it starts to thicken up. 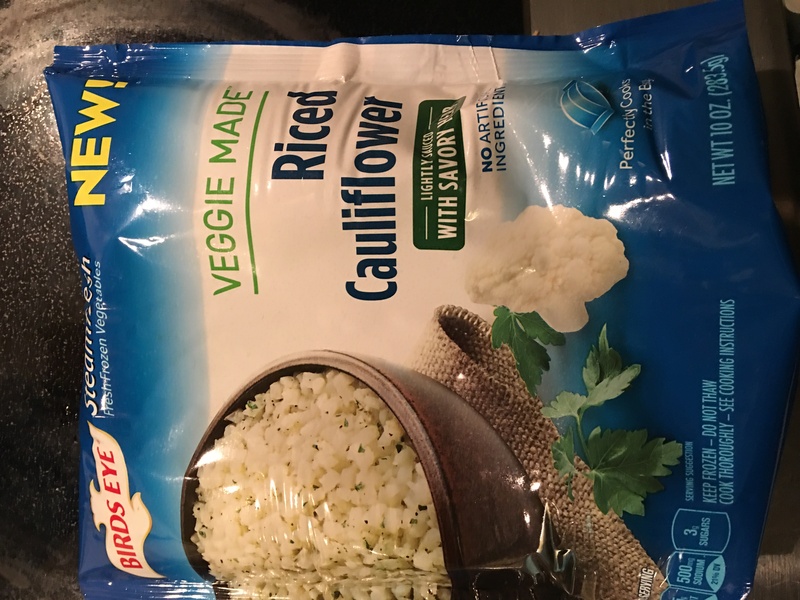 We served ours over top of this amazing riced cauliflower. 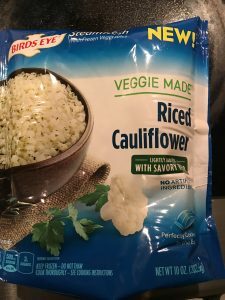 I hate preparing my own because I don’t love the smell of cooked cauliflower, but this frozen version is GOOD! My kids even love it!